As the weather cools down outside, your thoughts may turn to the state of your compost pile. Sure, it’s been going strong all summer long, but as winter looms, what can you do to ensure that it doesn’t turn into a frozen mess? An active pile is a hot pile, so the most important thing to do is to kick-start the microbes by giving them a big, well-balanced fall meal. As outdoor temperatures start to drop, aim to add a generous and well-mixed meal of equal parts dry, brown materials, such as fallen leaves, and soft, high-nitrogen materials, such as grass clippings and kitchen scraps. Chop or shred everything into pieces that are no more than 2 inches long. Sprinkle with water as needed to make the mixture moist but not soggy. If you have lots of dry autumn leaves and not much high nitrogen material, try adding something very high in nitrogen, such as alfalfa pellets or meal, cottonseed meal, or your own urine (yup!). Now that you’ve got your microherd revved up and churning out lots of heat, do something to keep as much of that warmth in your pile or bin as possible. Some commercial composters already have insulated walls, but in really cold climates, they will still do better with additional insulation, unless you have invested in a high-end composter like the Jora, which can keep on composting right through even the most bitter of winters. Wrap your compost bin in a couple layers of bubble wrap, foil and bubble wrap insulation sheets, bags full of autumn leaves, or straw bales to insulate the sides. Remember to top off your insulation job with a tarp and some sort of insulated cover to help keep heat in and excess rain, ice, and snow out. A couple of extra bags of dry leaves on top of a tarp make a good insulated cover. Or tap into solar power, and cover the pile with a large sheet of Plexiglas or a retired glass shower door to create a passive solar heater. Stockpile finely chopped or blended kitchen scraps in a covered container. 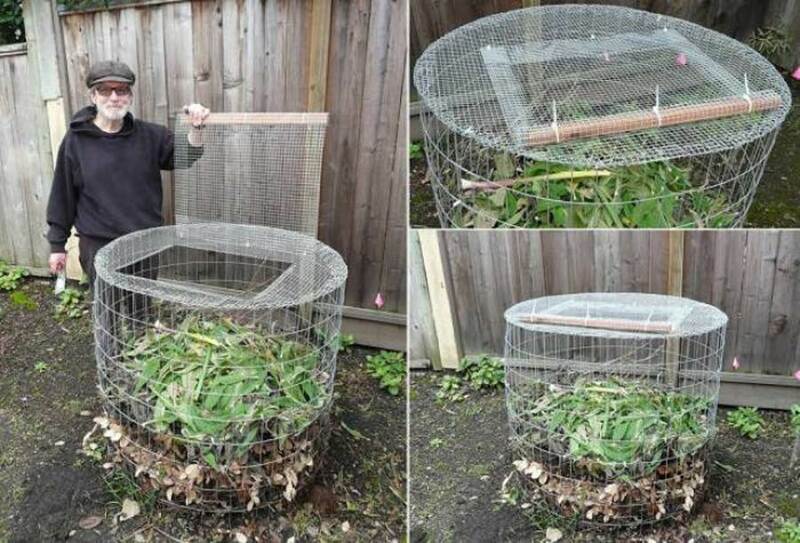 Once a week or so, or when you have about half a bucket’s worth, mix the scraps with an equal amount of chopped straw, wood shavings, shredded dry leaves, or torn-up newspaper, and add the mixture to your outdoor composter. 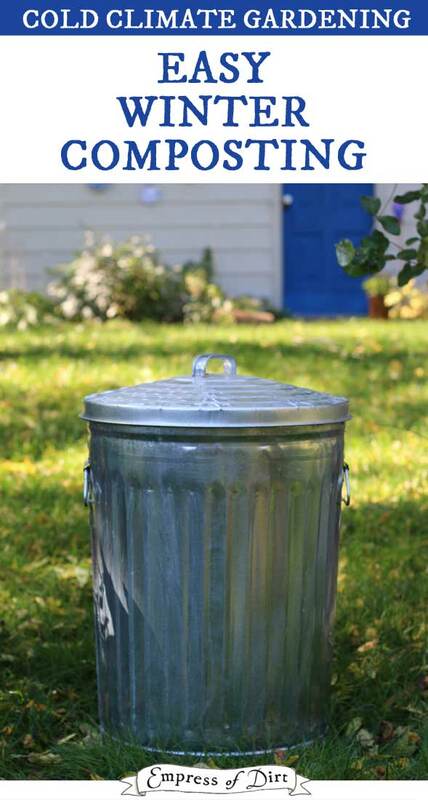 Depending on your climate and how much material you have to add during the winter, your compost may cool down or even freeze in the very lowest temps. Don’t worry! Once the weather starts to warm up, the compost will wake and start working again. 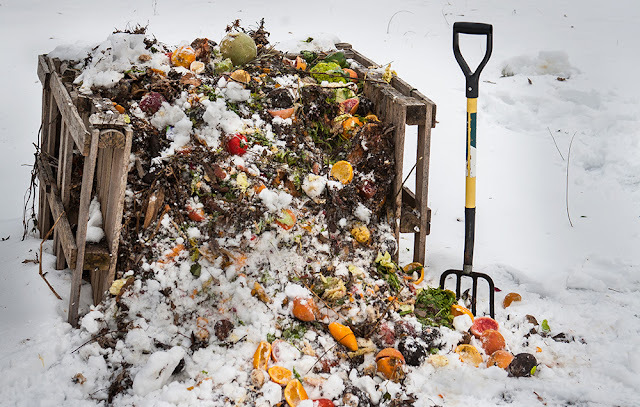 While the pile is dormant, you can either keep adding mixed scraps to the top of the pile or (the better option) store the scraps in a cool but not freezing place until the outdoor compost thaws.